Relocating to a new city can be both exciting and overwhelming. Charlotte is a great relocation destination and is consistently ranked as one of the country’s fastest-growing metro areas. With so many transplants, it’s easy to integrate yourself into the Charlotte community as a new resident. Follow our simple plan to help navigate the relocation process and ease your transition to Charlotte. 1) Learn about the neighborhoods in Charlotte and surrounding towns. Whether you want an urban spot with nightlife or a quiet suburb where you can get a sprawling lawn, Charlotte has it all. 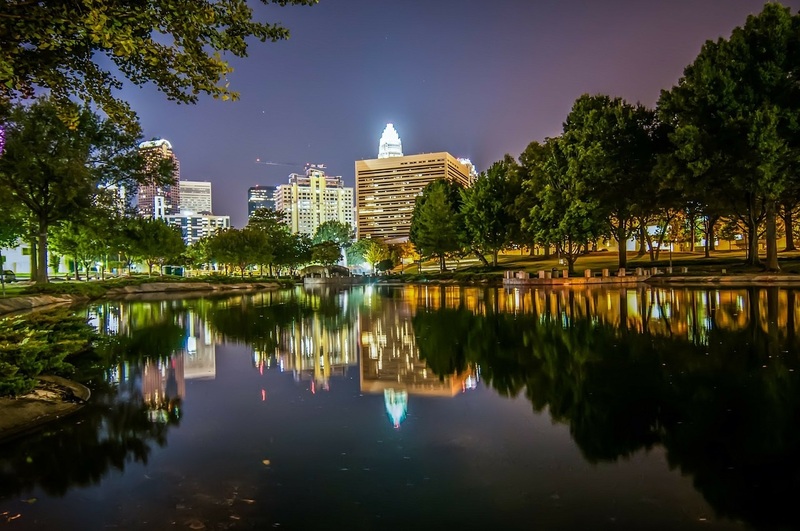 To learn more about the communities of Charlotte, check our guide to the Charlotte neighborhoods here and a guide to the suburbs here. 2) Talk to a local Realtor. Once you’re ready to narrow down your search to a town or a group of neighborhoods, it’s time to talk to a Real Estate Agent. Find someone knowledgeable about the area who can help you determine if Charlotte is right for you. A good agent will educate you about the process of buying a home in North Carolina and help find a good fit for your family. 3) Visit Charlotte. If you’ve never been to Charlotte, schedule a visit. You’ll want to check out the area before you decide to move here. While you’re in town, drive through the towns and neighborhoods that you like. You might want to tour a couple of houses in the area. Each neighborhood in Charlotte has different home styles and offers unique amenities, which can help you narrow down a neighborhood that you like. 4) Contact a local Mortgage Broker. If you’re buying a home in North Carolina, you’ll want to contact a Mortgage Broker familiar with the area and borrowing in the Queen City. There are several large banks with a presence in Charlotte, but if you need a mortgage referral, a good Real Estate Agent will be able to provide that to you. 5) Visit Charlotte again to go house hunting. If possible, make a second trip to Charlotte to buy your home. This second visit should focus on the areas of town where you want to live and give you an opportunity to learn about your new community. If you want to live in the Lake Norman area, rent a boat and take it out on the lake between home tours or have dinner at a Birkdale restaurant. 6) Schedule your move. If you’re relocating to Charlotte from another city, timing can be important. If you have a home to sell in another city, it’s helpful to leave yourself a little extra time to move when scheduling your closing date. Long distance movers often require advance notice and it’s helpful to build in extra time to your schedule. As with any major project, delays may occur and it’s helpful to be flexible about your timeline if possible. If you’re planning a move to Charlotte, we’d love to help you find your new home. Contact us today to learn about the area and the neighborhoods that might work for you and your family.